Peter Kivisto is Richard A. Swanson Professor of Social Thought and Chair of Sociology, Anthropology and Social Welfare at Augustana College and Finland Distinguished Professor at the University of Turku. His current research involves a collaborative project on multiculturalism with colleagues in Finland. His interests include immigration, social integration, citizenship, and religion. 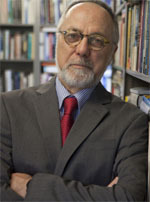 Among his recent books are Key Ideas in Sociology (2011), Illuminating Social Life (2011); Beyond a Border: The Causes and Consequences of Contemporary Immigration (2010, with Thomas Faist); Citizenship: Discourse, Theory and Transnational Prospects (2007, with Thomas Faist); and Intersecting Inequalities (2007, with Elizabeth Hartung). He serves on the editorial boards of Contexts, Ethnic and Racial Studies, Journal of Intercultural Studies, and on the Publication Committee for Sociology of Religion.